The Poivre Blanc Colorblock Insulated Ski Jacket with Faux Fur perfectly blends timelines design with subtle modern elements, like the option for a trendy splash of color on the body. Otherwise, this jacket has all the time-tested features you need in a ski jacket, including 120g warm insulation, a removable and adjustable hood, stretch side inserts, and a 10K/10K waterproof and breathability rating for much-needed comfort on the mountain. The Poivre Blanc Colorblock Insulated Ski Jacket has additional features to keep you warm too, like a thermal fleece inside collar and inside back thermal mesh patch. 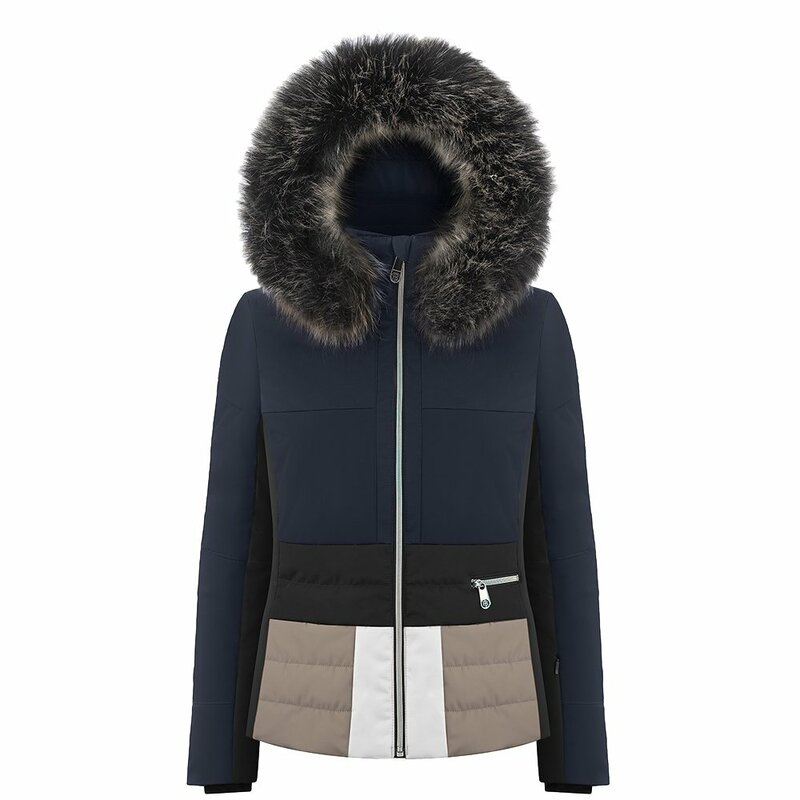 And for that extra flash of style, this jacket features a removable faux fur hood trip with easy snaps.